Futsal players are obsessed with their footwear like anyone else who has a passion and develops an interest in the associated equipment. We are always searching for a shoe that feels just right. Everyone has their own preferences; Some like a light or more solid shoe, synthetic or leather materials, a thin flexible sole or a thicker base that cushions, and this goes on into even more detailed features. Being quite demanding in what I want from a shoe, I have experimented with around a dozen brands and their various models during my career in the constant pursuit of that perfect pair. In the end, I’d had to settle with something that was only satisfactory. One of the reasons futsal shoes haven’t met expectations is they have mostly been designed from a football perspective. Around a year ago, I was given a mysterious all-white prototype by Umbro for a new model they were testing when their product development team came to visit us at a Manchester Futsal Club training session. After repeated disappointment with futsal shoes, my expectations weren’t high but I was willing to give it a try. I put my foot into the shoe and it immediately felt comfortable. A good start as it usually takes a period of time to wear shoes in, and maybe a few aches and pains, before they become well-fitted. It had all the principal characteristics I look for. Soft leather at the front for a great feel of the ball but mesh materials at the back to keep the shoe light and breathable, and a sole that was really responsive and provided exceptional grip for the frequent changes of direction that occurs in futsal. Once I got them on the court, they felt great to play in. A condition of trialing the shoe was to provide feedback and some criticisms, but I was really struggling to find improvements. The only real critique I could find was after wearing them a while they had a bit of discolouring on the leather and the suede on the toe showed some wear and tear, two issues they would resolve before they released the shoe, known as the Chaleira Pro (You can find out more about the features of the shoe here). I was quite surprised they had developed such a quality shoe as Umbro hasn’t been so prominent in the UK futsal market but, somehow, they suddenly possessed, in my opinion at least, the best futsal shoe on the market by a distance. After discussing the shoe with Umbro’s product designers, the explanation for how they had been able to get ahead of the competition became apparent. They had already travelled all over the world, principally to Brazil, speaking to players from the amateur level to world class internationals and meticulously evaluated all the feedback to keep modifying the shoe. They made continual minor improvements until the comments they were receiving, like my own, were virtually all positive. Finally, in 2018 they were happy to release it. The great job they’ve done with the Chaleira Pro includes some very nice colour combinations and every player finds a nice looking shoe gives you that little bit of extra confidence. It is now worn by some of the very best players worldwide including Leandro Lino and Marcel Marques of Brazil and Adolfo of Spain, probably the stars of their generation for the world’s two strongest futsal nations. Further, three of Portugal’s Futsal Euro Champions debuted the shoe as they claimed their first major title. With my enthusiasm for the Chaleira, I think Umbro recognised I could be a good advocate to help get word out about their new model. As well as the obvious perks of signing with a brand, there was something else that made me really excited to partner with Umbro. I have provided feedback for other companies in the past and it always seemed like a box ticking exercise for them. You provide opinions and you might not here back from them. With Umbro it was a completely different experience. Their team have a real love for the sport and want to see it develop. I frequently receive messages from them asking where they can watch matches online. This generates a strong desire and focus on producing the best products for people to enjoy our sport. You speak directly with the product designers and they are very attentive to all the insights they receive. It is a pleasure to represent a brand that shares my passion for the sport and that have products you genuinely want to recommend. They are not limiting transforming the futsal product market to shoes. They created a ball called the Sala Pro DPS (see photo above) that features new technologies specific for futsal including a special texture that provides better grip for the specific way players manipulate the ball plus it has an outer made from recycled plastic. Umbro balls are used by the Brazilian National League. They are not resting on what they’ve achieved so far. Players including myself from around the world are currently testing future futsal products and, with their commitment and passion, I’m excited to see what they will produce. 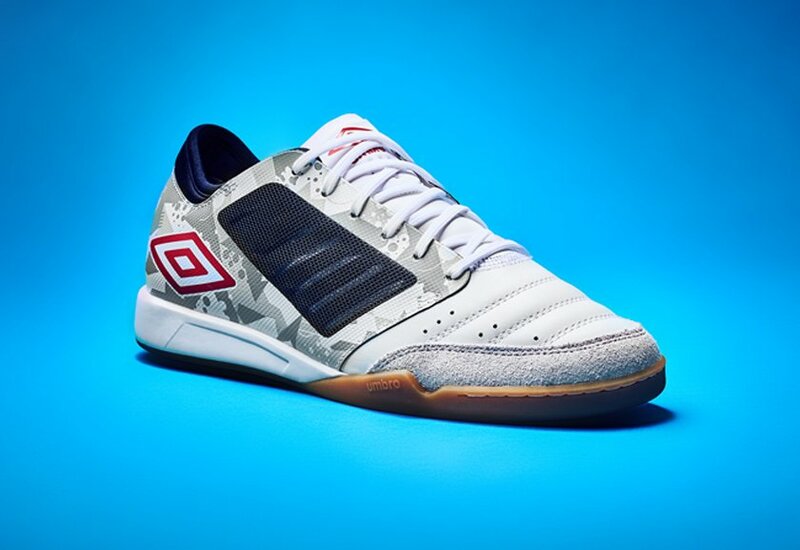 It’s great to see Umbro giving futsal the dedicated attention it deserves.